The models are made with Cinema 4D R12 and include textures. NOTE: They will NOT work in versions previous to R12. You may use these models for personal or commercial use, just not for stock or resale in any way. I have made a .lib4d file so you can load these models into your Cinema 4D Content Browser and easily access the models at any time! 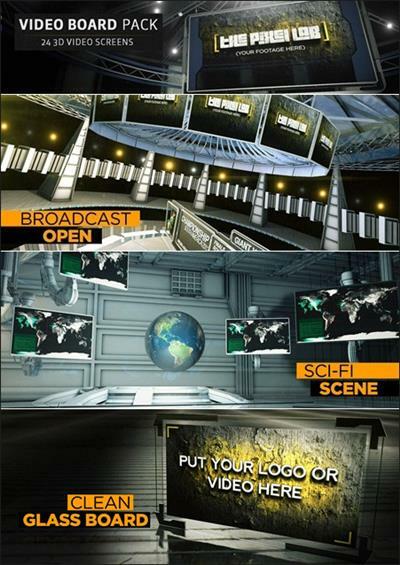 These video boards can be easily pasted in any environment and are a great way to display footage or logos in a 3D scene. I hope you enjoy them!